Randy James: "I believe in science for all." It started, like all scientific experiments do, with a question. How could Randy James, a science teacher at North Central High School, get his students to conduct authentic experiments in the classroom? James, who is retiring after nearly 40 years of teaching, first posed this question two decades ago. He had just visited professor Don Lightfoot's biotechnology lab at Eastern Washington University, and James wanted his own students to make new scientific discoveries, instead of the typical lab experiments in high schools that everyone already knew the answer to. Now, James is leaving North Central after having started the renowned Institute of Science and Technology. In what the school says are the only two professional-grade high school labs in the country, NC students — some as young as 7th and 8th grade — take science courses like biomedical technology or biological solutions. James has earned plenty of recognition from his colleagues for creating the IST, and in recent years the general public has come to know his face, plastered on billboard and bus ads around town. What drives James is his belief that everyone can be a scientist. Science, he says, is everywhere — not just in a lab. And that, he says, is how IST was created in the first place. "It's not the building, the lab, or the equipment," he says. "It's in the minds that are able to work the question, work the problem, and find ways of having kids go from point A to point B." Once James had his question, he set out on the second step in the scientific method: research. He asked Sandy Fink, NC's principal at the time, about how to start a biological solutions course. He hypothesized that teens exposed to authentic experiments and new discoveries in the lab would be more engaged in the work. But he needed some equipment. They started with two gel boxes, used to separate molecules. Then he started asking around for people to donate. Sometimes they'd say no, but he always asked. "For the next 15 years, I was making 10 to 12 calls a week asking for free stuff — a vial of a molecule, or an extra DNA sequencer," James says. A few years in, the experiment seemed to be producing results. James began to dream bigger. He wanted to form an institute within the high school, something that would require multiple science courses with multiple levels and teachers. So around 10 years ago, they added another class called biomedical technology. Then a couple years later, they started letting juniors and seniors take genomics as a capstone class. Students were making new discoveries. They pulled DNA, tens of thousands of years old, out of fish. They became the first to extract DNA from an ancient bison bone. In 2014, the school opened a new three-story building for the school's Institute of Science and Technology. Since then, NC has allowed middle school students to be part of IST, where they take a microbiology class and a biochemistry class. For James, it's all about making authentic science accessible for all students. "I believe in science for all," James says. "Taking kids that are reluctant learners, reluctant in the sciences, that feel like they don't belong, and making them feel like they belong and feeling like they can actually do really high-level science, then you've done something really darn important." James, 65, started thinking he wanted to retire at the beginning of the school year. He says the decision was driven by fear — the fear of not being able to do the best job he possibly can. 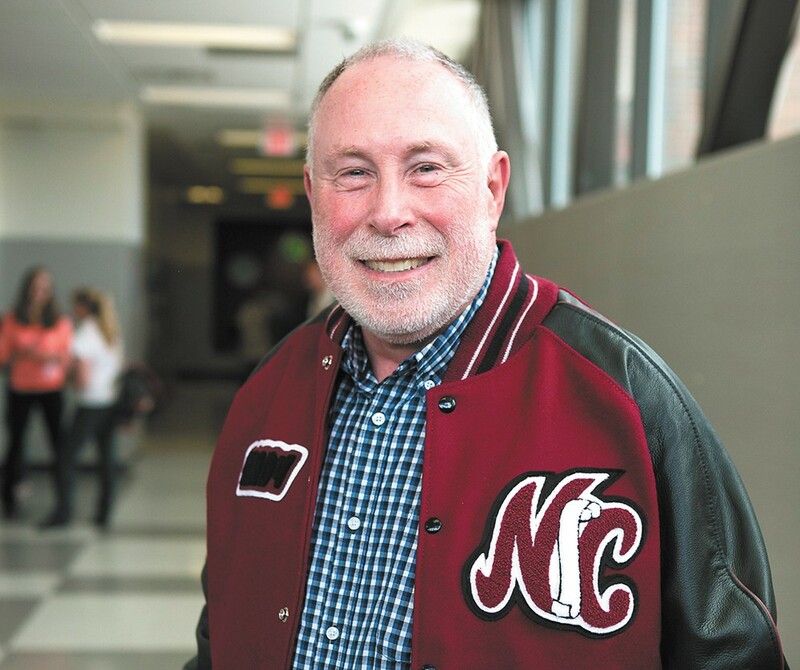 As he looks back at the reults of his work, he is thankful for people like former NC principal Steven Gering and current principal Steve Fisk. Fisk says that James "bridged a lot of gaps" when it came to kids growing up in poverty and becoming interested in science. The IST program will continue and it will evolve, but Fisk says there's no replacing James. James feels he was able to prove his hypothesis, that any kid can be engaged in high-level science, even in high school. Those around him are excited for his next experiment.